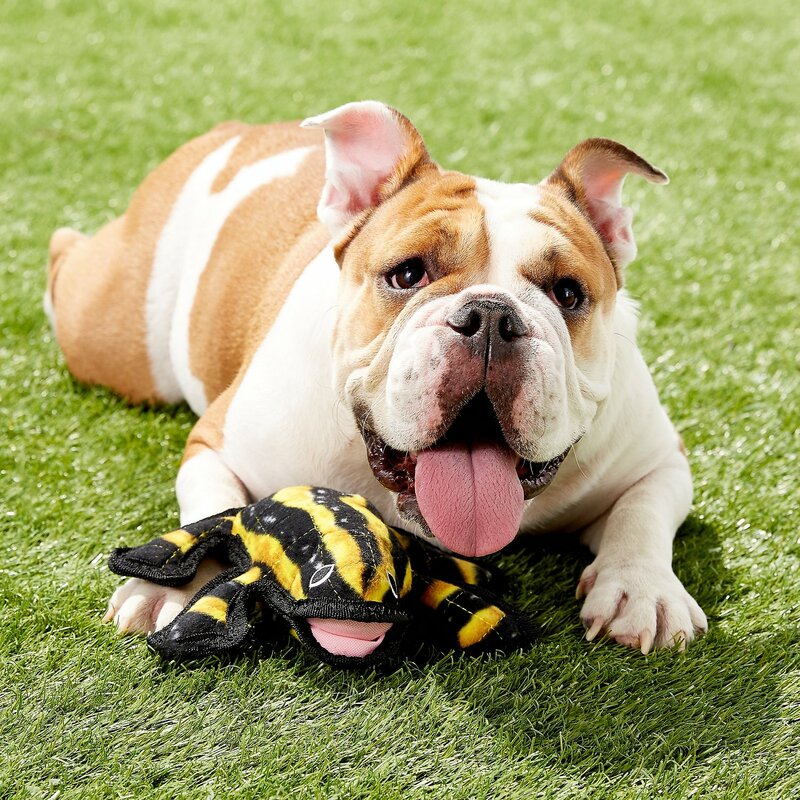 Tuffy's Desert Phrog Dog Toy is ideal for interactive play with one or multiple dogs. It’s made with three layers of safe, non-toxic fibers: soft fleece, industrial grade luggage material, and plastic coating. All three are bonded and sewn together to make one ultra "tuff" layer, ensuring this toy is just as durable as it is fun. 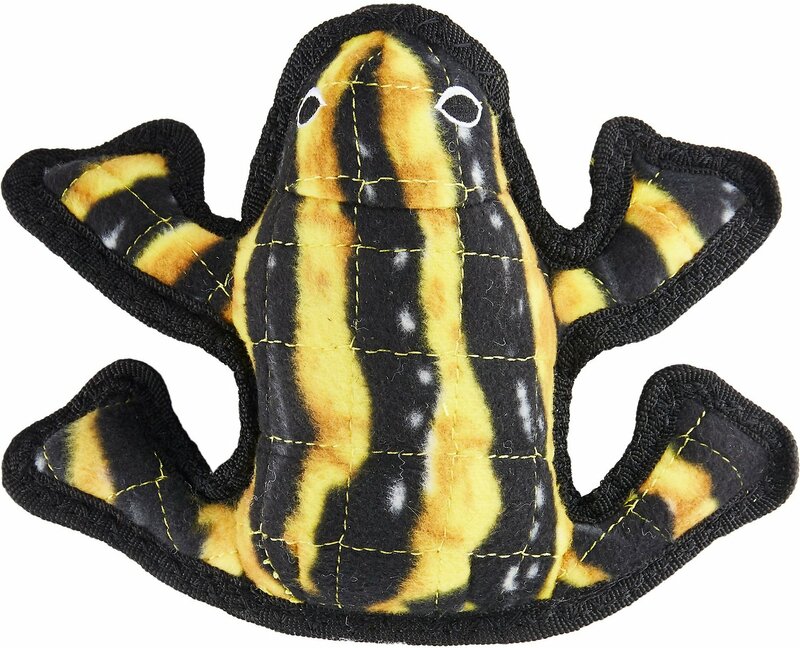 The Desert Phrog Dog Toy also has a protective pouch around its squeaker as an added safety measure in the unlikely event your dog gets to the core. 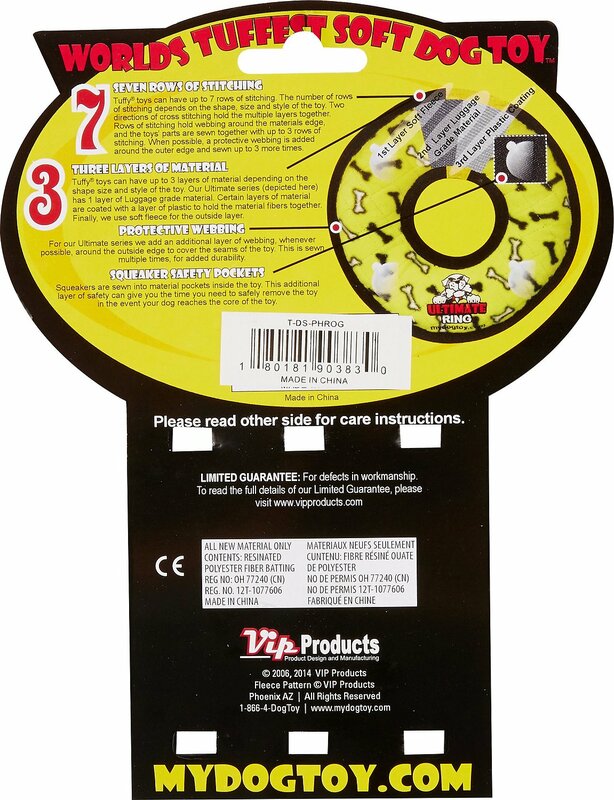 This toy is great for indoor use because of its soft exterior, perfect for outdoor use because it floats in water, and easy to clean because it’s machine washable. Squeaker is sewn into a pouch as an added layer of safety. My dog is basically a mini dragon when it comes to ripping up toys. 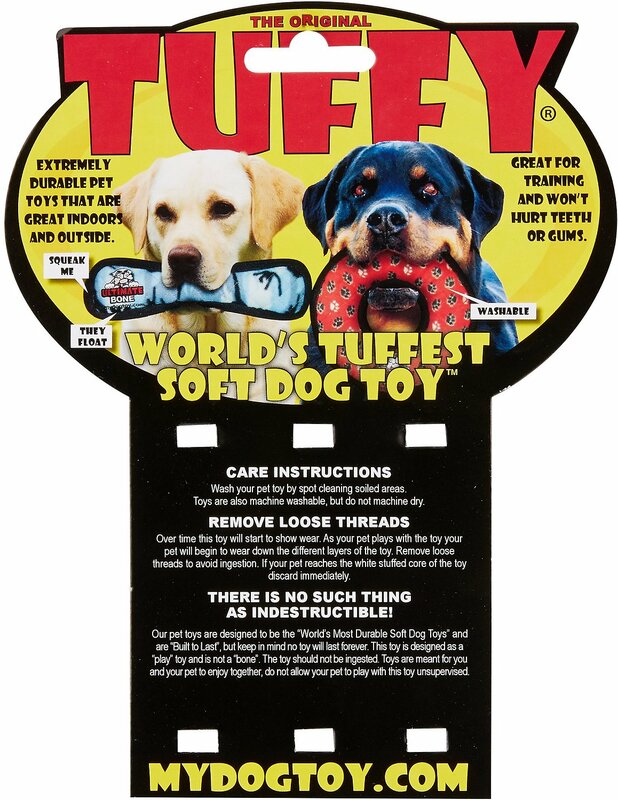 However my friend told me about Tuffy toys and he loved it! He did rip it open in about a day, however it’s been 2 weeks and he still hasn’t destroyed the whole thing. For the price, I would recommend this to a friend. It’s hard to find a toy that our dog doesn’t demolish but these are the closest. (Besides Kong’s and he doesn’t have much interest in them lol) they last about a month and he loves them! Despite being rated a Level 9, this toy did not stand up to a full 10 minutes with my hound. Was really hoping for something that would hold up to a few days of playing, but this was not it. Also bought two other Level 9s in this order that were destroyed just as quickly. Holds up well to a heavy chewer. A little expensive, but I'm impressed with how much my dog enjoys this toy. She is a 1 year old Husky and loves to chew. So far this has withstood a few play sessions...which says a lot! I'll definitely consider repurchasing a Tuffy's toy when/if this one gets destroyed. Bulldog loved it and it’s lasting through the holidays +. Love them. My little dog loves to play tug of war with the phrog and she is strong but this toy can take all she can give. My dog had this in pieces in minutes. I spent the money on this particular toy because I expected it to at least somewhat withstand the inevitable attack on the squeaker. I WAS shocked at how easily my dog got into it and wrecked it.